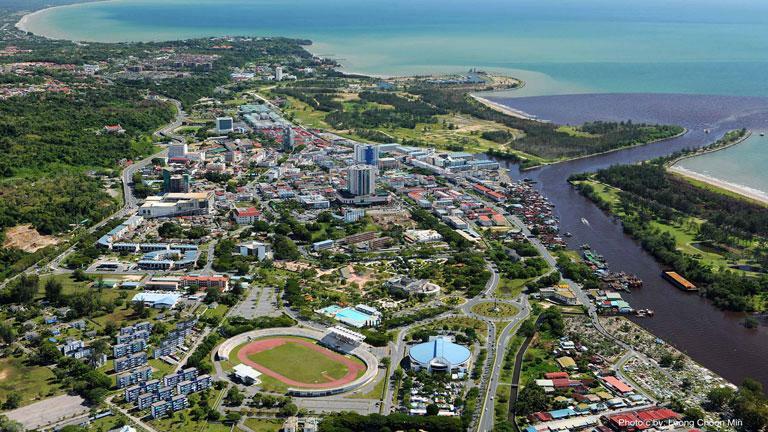 Miri, the second City of Sarawak, is situated in northern Sarawak, close to the Sarawak-Brunei border on the legendary island of Borneo. The City has grown phenomenally since oil was first discovered in the early 1900s, burgeoning into the modern and dynamic business, commercial and educational centre it is today. It is also the stepping-off point to many of Sarawak's world-famous national parks such as the UNESCO World Heritage Site Gunung Mulu, Niah National Park, Lambir Hills National Park and Loagan Bunut National Park, as well as other major tourist attractions. A state-of-the-art Marina attracts the international yachting community, and divers who are keen to explore the ‘under water jungles’ below. Situated at the northern end of the Malaysian state of Sarawak on the island of Borneo and adjacent to the Sultanate of Brunei Darussalam. Visit http://www.miricity.com.my/ for further details.